What Can I Say About Rayon... That Hasn't Been Said Before? 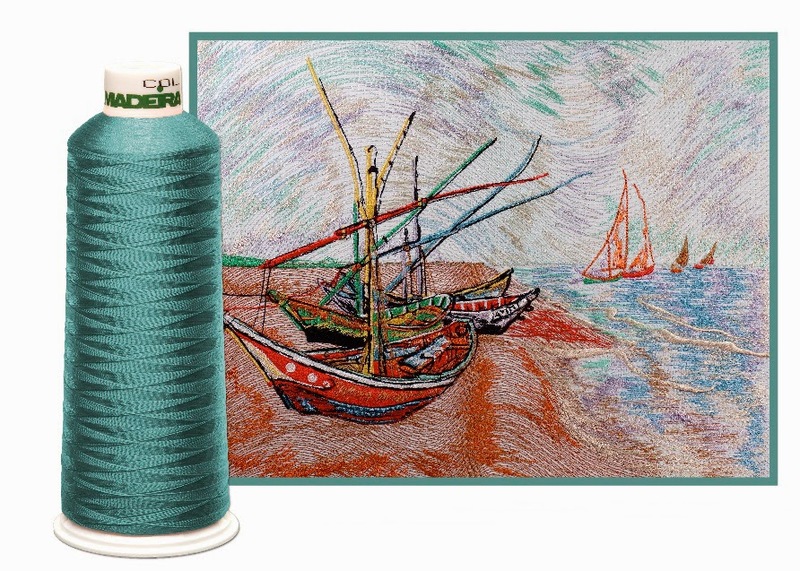 Recently, I was asked to deliver a few words explaining why so many embroiderers prefer Rayon embroidery thread. I decided the best way to describe Rayon, was in terms of something else. You wanna know about Rayon? I’ll compare it to Polyester! Rayon is warm and elegant; Polyester is bright and brassy. Rayon is Ava Gardner, Ingrid Bergman, and Grace Kelly; Polyester is Rita Hayworth, Lucille Ball, and Marilyn Monroe (if you’re under 40, ask your mother). Rayon is lustrous, smooth, and soft. Polyester is shiny. Rayon colors are deep and romantic. Polyester colors are shiny and uninhibited. Rayon is colorfast. Polyester is colorfast. Wait! What? You heard me! I said it! Rayon is colorfast! You can wash it in very hot water up to 203⁰F (hotter than McDonald’s coffee), let it sit in hot water up to 100⁰F and send it to be dry cleaned and the colors will be as vibrant and alive as the day the stitches were put down. The one thing you can’t do is throw bleach into the wash. But why would anyone want to bleach their embroidery purposefully? Especially when most fine garments come with washing instructions forbidding the use of bleach! And then there’s sewability; nothing sews with such consistent trouble-free performance, holding up to high-speed stitching without breaking or fraying. While it’s true that Polyester is marginally stronger, that doesn’t mean Rayon is weak. All factors being equal, (productive digitizing, machine capability, operator experience, etc. ), using good quality Rayon will result in many hours of stitching sans thread breaks. As a matter of fact, thread breaks become memorable because there are so few of them. And because the thread “hand” is soft and smooth, it’s easy on the parts it runs over and the automatic trimmers. And for us tree-huggers, Rayon is a renewable product unlike Polyester which is a derivative of petroleum (oil). Rayon is a manufactured, regenerated cellulose fiber. It is made from purified cellulose, primarily from sustainable wood pulp, which is chemically converted into a soluble compound. It is then dissolved and forced through a spinneret to produce filaments which are chemically solidified, resulting in fibers of nearly pure cellulose. A few years before I was born, English chemist Charles Cross, in 1894, patented his artificial silk, which he named "viscose" (thank you, Google). Rayon thread comes in a wide range of solid and variegated colors. Most Rayon threads are available in a standard 40 weight, a thicker 30 weight (very useful and economical for saving stitches in large fill areas) and a thinner 60 weight (for fine detail and teeny, tiny lettering). Concluding, I promise you, bleach notwithstanding, Rayon is a safe choice, an economical option, a good bet.